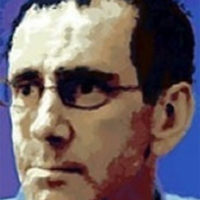 James T. Enns is a Distinguished University Scholar in the Department of Psychology at the University of British Columbia. A central theme of his research is the role of attention in human vision. This includes studies of how the visual world is represented inside and outside of focused attention, how attention changes the contents of consciousness, how perception changes with development, and how to design visual displays for optimal human performance. He currently serves as Editor for the Journal of Experimental Psychology: Human Perception and Performance, and has served as Associate Editor for the journals Psychological Science, Consciousness and Cognition, and Visual Cognition. His research has been supported by grants from NSERC, the Canadian Foundation for Innovation, the Australian Research Council, BC Health & Nissan. He has authored textbooks on perception, edited two research volumes on the Development of Attention, and published numerous scientific articles on vision, attention and cognitive science. He is a Fellow of the Royal Society of Canada (2002), a recipient of the Robert Knox Master Teaching Award (2004) and the DO Hebb Distinguished Contribution Award (2013). 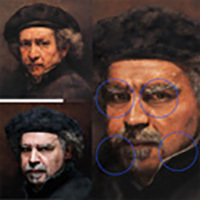 Using new visual computer modelling techniques, we show that artists use vision based techniques (lost and found edges, center of focus techniques) to guide the eye path of the viewer through their paintings in significant ways.